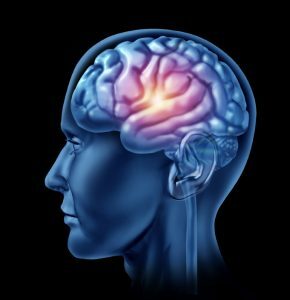 Older adults with hearing loss are more likely to develop problems thinking and remembering than older adults whose hearing is normal, according to a new study by hearing experts at Johns Hopkins. In the study, volunteers with hearing loss undergoing repeated cognition tests over six years, had cognitive abilities that declined some 30 percent to 40 percent faster than in those whose hearing was normal. Levels of declining brain function were directly related to the amount of hearing loss, the researchers say. On average, older adults with hearing loss developed a significant impairment in their cognitive abilities 3.2 years sooner than those with normal hearing. “Our results show that hearing loss should not be considered an inconsequential part of aging, because it may come with some serious long-term consequences to healthy brain functioning,” says Lin, an assistant professor at the Johns Hopkins University School of Medicine and the university’s Bloomberg School of Public Health. “Our findings emphasize just how important it is for physicians to discuss hearing with their patients and to be proactive in addressing any hearing declines over time,” says Lin. More worrisome, he says, only 15 percent of those who need a hearing aid get one, leaving much of the problem and its consequences untreated. I was referred to Precision Hearing by my doctor for my hearing aids after I had a sudden change in my hearing, which was quite upsetting. I had worn hearing aids before but rarely used them. Chip and his staff took terrific personal care of all aspects of my new hearing aids. I now wear my hearing aids every day and highly recommend Precision Hearing to my friends and family. Great!